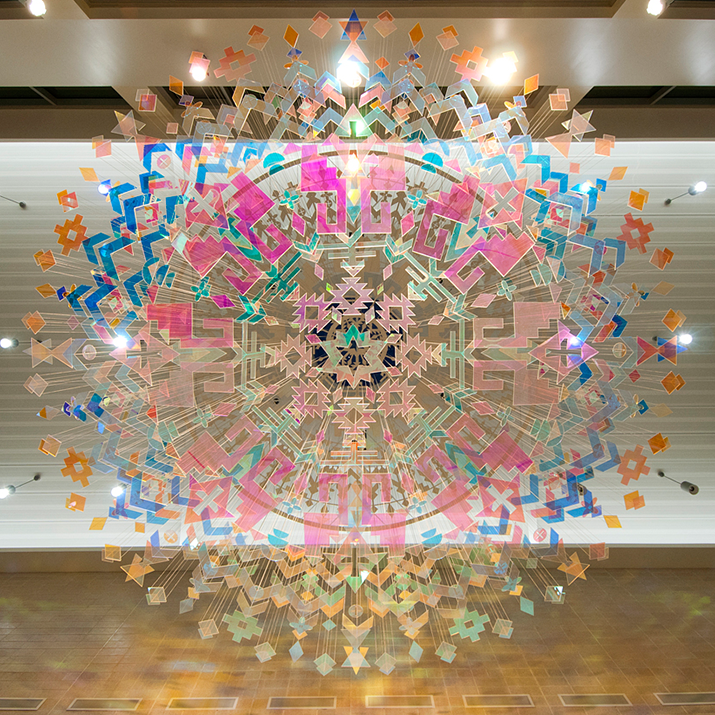 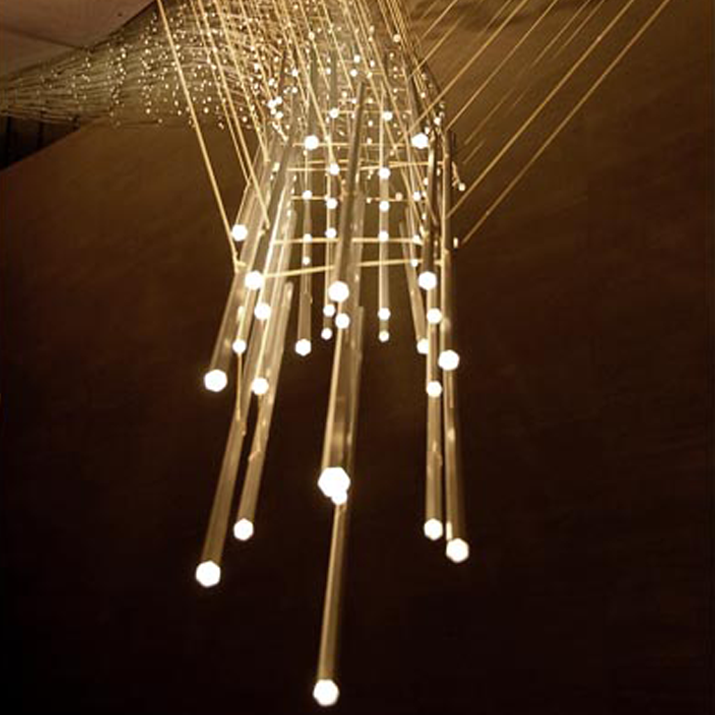 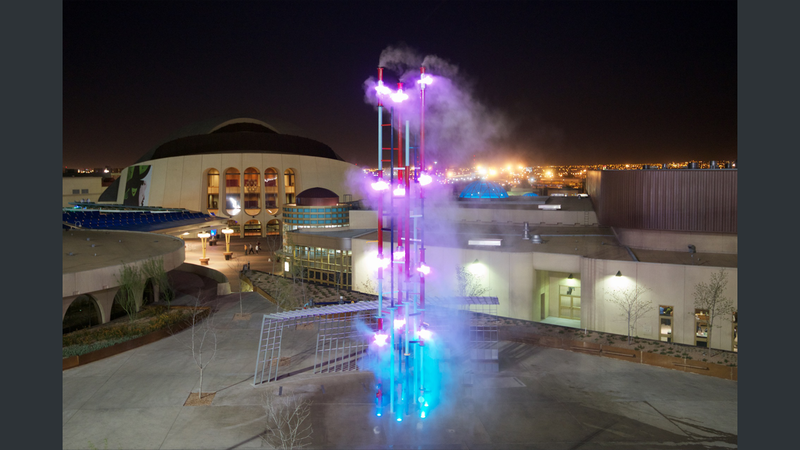 Working in conjunction with artist Matthew Geller and MetaLab, G2LD designed the lighting for this interactive art installation which stands on a busy pedestrian plaza between the Convention and Performing Arts Center and the ballpark in El Paso, Texas. 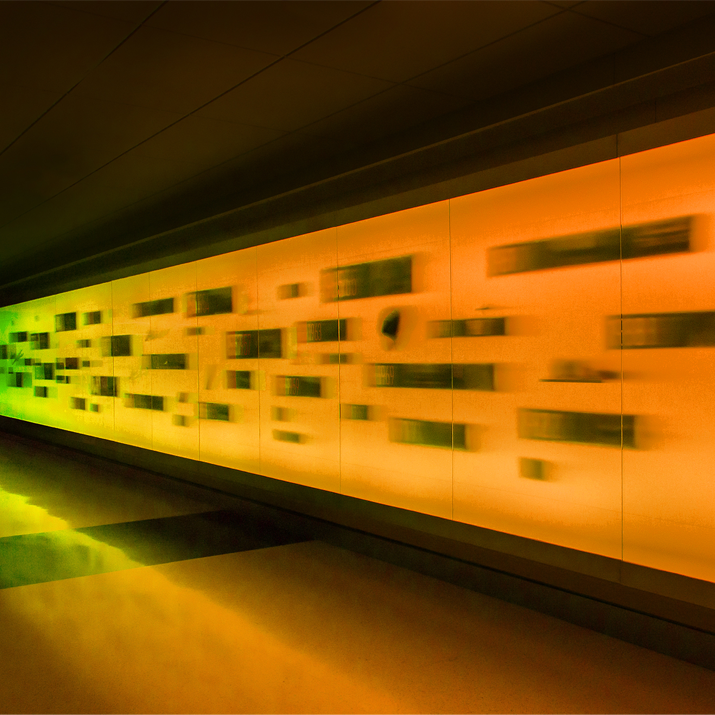 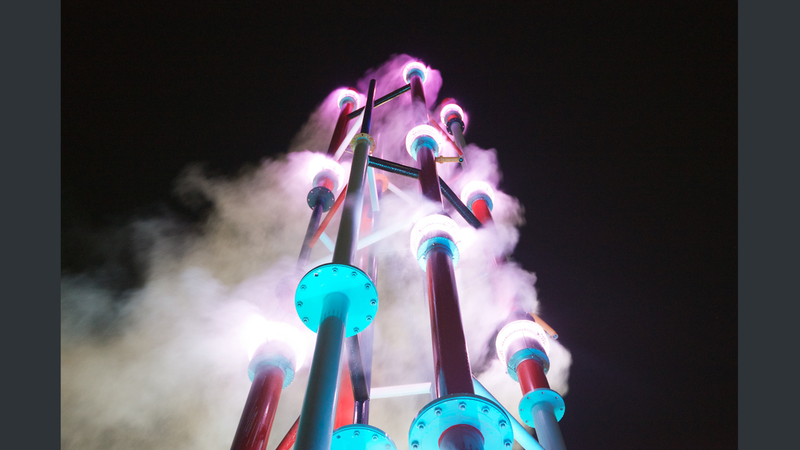 Completed in 2015, the 55-foot-tall industrial-inspired structure incorporates color-changing LED lighting both internally and externally to illuminate the clouds of mist that radiate from the sculpture. 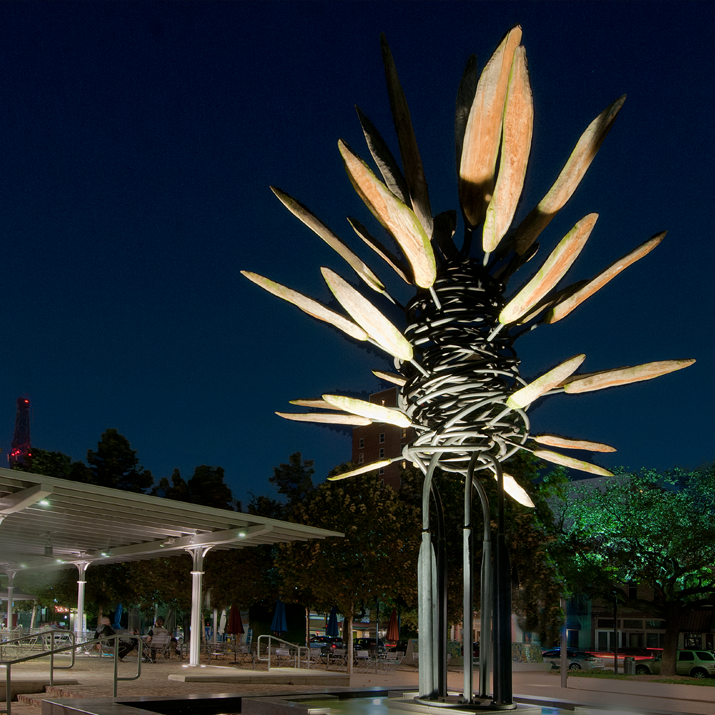 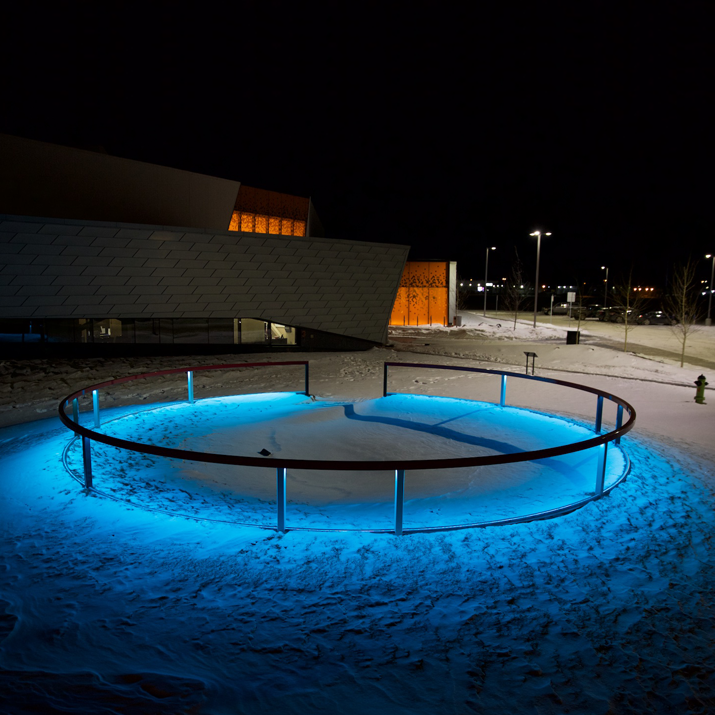 The artist, who drew inspiration from both ancient Greek fountains in public gathering places as well as the surrounding industrial infrastructure, sought to create a piece which was both visual and functional. 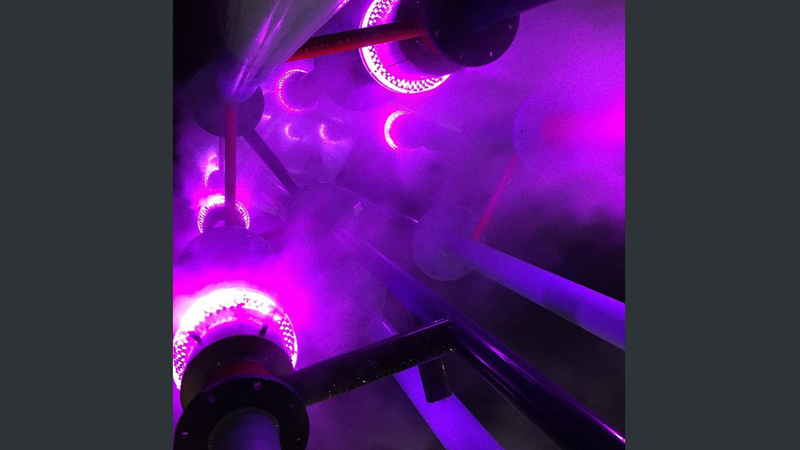 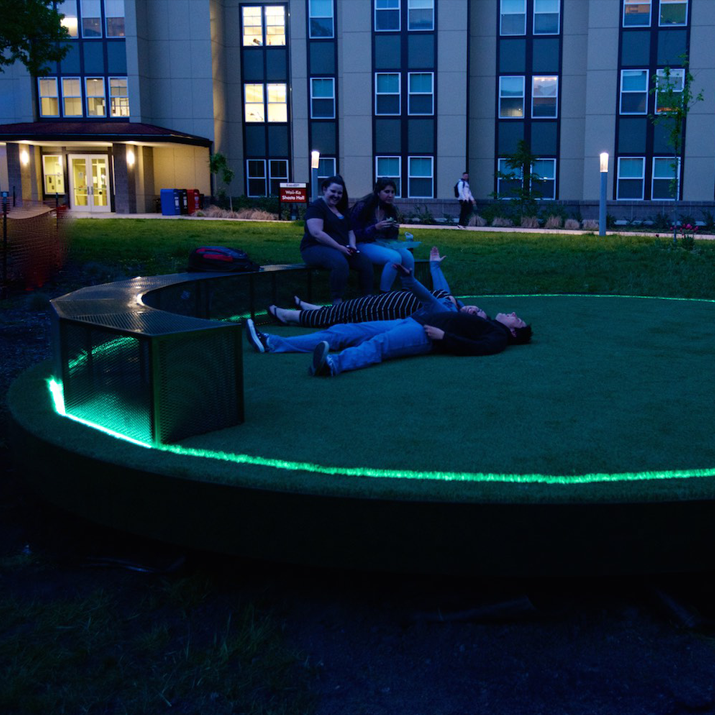 The emanating mist allows pedestrians to interact with the installation and be cooled. 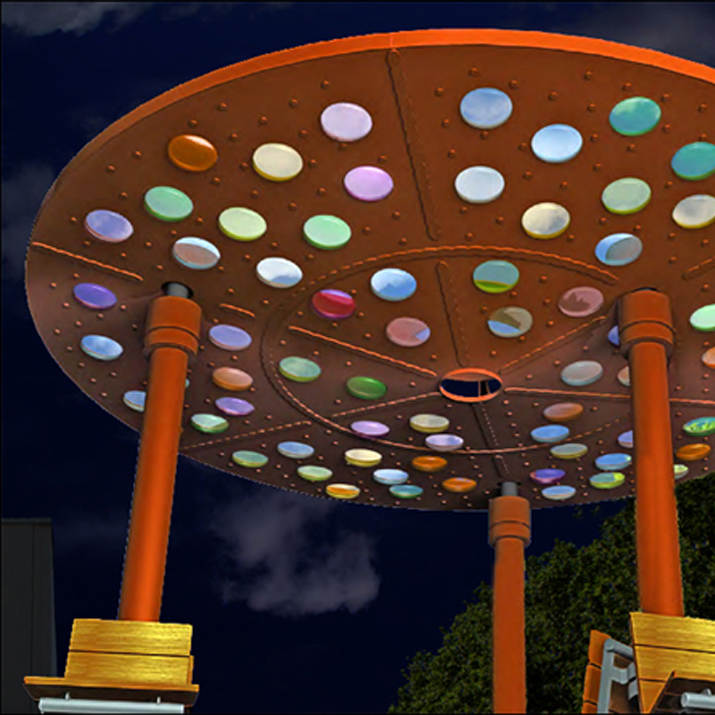 Incorporating lighting into the plaza surface below as well as surrounding the mist nozzles makes the multi-story structure a formidable beacon even at night.